“The testimony about Christ was confirmed among you.” 1 Corinthians 1:6 Lutheran confirmation instruction provides young people and adults the opportunity to understand and grow in the teachings of Holy Scripture, thus building on the foundation given them in their Holy Baptism, preparing them for the Rite of Confirmation. CPH offers a variety of confirmation instruction materials that can be easily adapted for a wide range of situations and formats by leaders. The 60-Lesson Catechism Study offers our most extensive review of the 2017 edition of Luther's Small Catechism with Explanation, providing up to two years of instruction. The 30-Lesson Catechism Study offers a thorough one-year review of the 2017 edition of Luther's Small Catechism with Explanation. 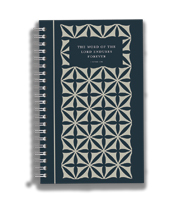 The Spiral Bound format of Luther's Small Catechism with Explanation, 2017 Edition contains the same text as the hardback format, but with ample room for note-taking. This conversational reference guide helps you easily get to know the basics of Lutheran theology in a way that won't make your brain hurt. Used by groups, families, and individuals who want to dig deeper into what it means to be Lutheran. Now with a sturdier concealed wire-o binding! This accessible, open-design layout lets you experience the catechism like never before. Lutheranism 101 Worship delves into the development of Lutheran worship, a deeper look at the parts of the worship service, and a deeper understanding of Lutheran worship. Basic Bible Teachings is specifically designed to teach the basics of the Christian Faith, as found in Luther's Small Catechism, in easy-to-understand terms and in a highly-visual format.